U.S.A.: Oxford University Press, 2001. As new hardcover. 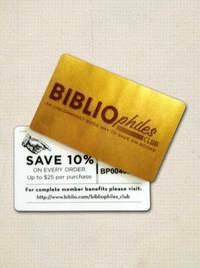 322 pp including book reviews and bibliographys. 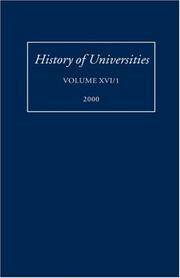 An indispensable tool for the historian of higher education, Volume XVI of History of Universities offers learned articles, book reviews, conference reports, and bibliographical information. Its contributions range widely geographically, chronologically, and in subject matter. . 1st. Hardcover. New/Not Issued. 8vo - over 7¾" - 9¾" tall. Education.